One surefire way to stay on track and expand your creative skills is to make a trademark for yourself, something you use a lot and it carries with you from place to place. This can range from something such as a signature, a saying, something personal. But, in the case of a roleplaying site i.e. Ongoing Worlds, an easy way to make a trademark is to have an original character. Why are they important and how can they make you feel more comfortable in a rp setting? What is an Original Character? An original character is what’s in the name. This is a character of your own creation, made to the way you want and how you want. it’s your trademark, or one of them. My trademarks are my character and my username, Now, how “original” depends on the development. There are many types of originality when it comes to making these characters. Now you may be asking yourself [or not] “But Tib, I’ve created a whole bunch o’ characters in different games. Aren’t all of those original characters?” Yes they are, and don’t ask me questions I’m not your therapist. But what I’m talking about is a character you’ve created that you use frequently or love as if they were right next to you always. Original Characters are mostly made for fan fiction or roleplaying games or to publish on an art site. An example I can provide would be that lizard dude over there. I use him in a lot of places around the site, characters and my avatar both on-site and in the chatbox. Savis is a character I created back in 2013, a couple of months after I joined OW actually [Sometime in September]. Savis was originally created for my new game Nova Lux. Over the years, he would develop a lot more, from his backstory, his personality, even to a part in the game where it fast forward to two years later and I developed him even more. What he looked like at that point and how he changed. Over the years he has changed but a lot of stuff still remains the same even through different reincarnations of his use. A better way to describe an original character sometimes is a labor of love. Maybe they’re a part of you that you have a hard time expressing [no I’m not a 6’0″ lizard] or different characteristics about yourself [which is mostly how I developed Savis]. Another way would be something you can express yourself with. When can you use Original Characters? When should you use Original Characters? Ah, see, there’s a difference. Can your OC be used in everything? That depends, if they can fit in. Take Savis for example, I can play him in a game like Nova Lux, ORIGIN, iSociety, maybe even Blue Dwarf. But a game that’s strictly medieval, a game about a set genre, or one all about humans, I won’t be able to add a humanoid lizard creature. Use them where they make sense. 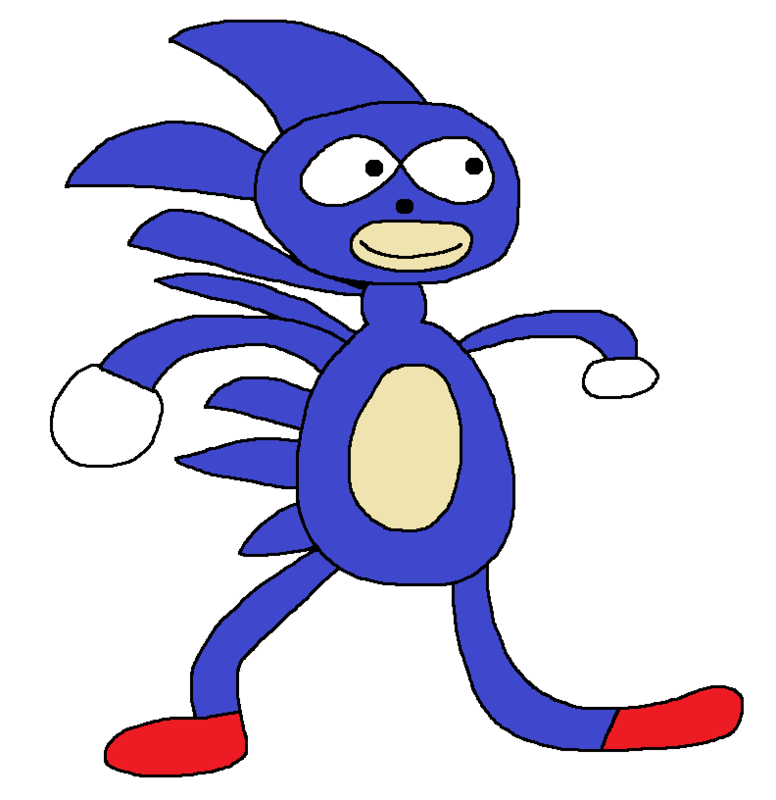 Sonic The Hedgehog is a character created in 1990 when Sega ordered it’s AM8 development team to create a game featuring their mascot. 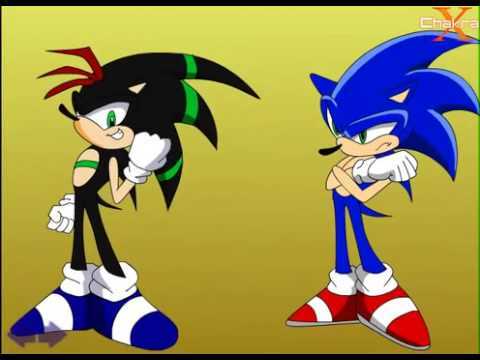 In short, after deliberation they decided upon the image of a blue, spike haired hedgehog for their mascot. 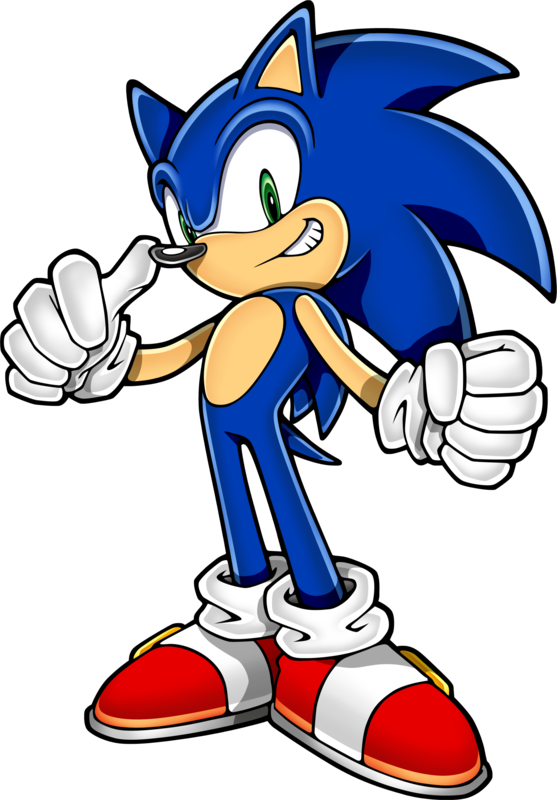 When it came to naming, they decided upon Sonic the Hedgehog and they then became the “Sonic Team.” He would eventually debut in the 1991 Sega game of the same name, Sonic The Hedgehog. The reason I picked Sonic is because on an art site where OC’s are very prevalent [DeviantArt] Sonic is employed constantly for fan fiction or original character use. Down the family tree of original characters comes the characters that are based off the lore. 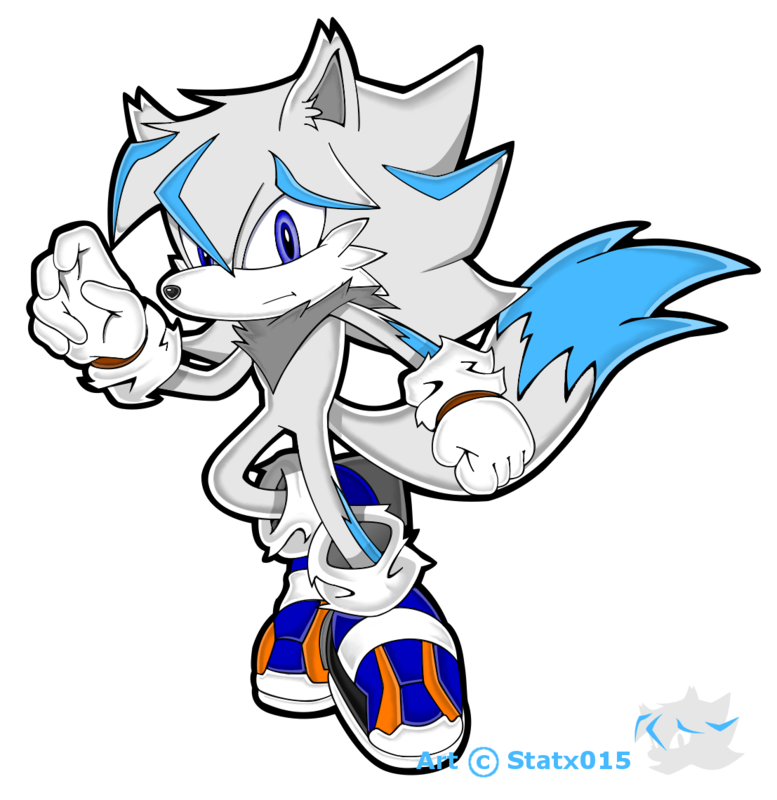 This can be described as a character that is loosely based off of Sonic and more off of an original body construction. These aren’t really considered copyright dodging as these are meant to relate to the lore in the way of fan fiction in writing or art. These types of characters are common but not as common as it’s other contender. Is it possible to base an original character based off of a franchise off of another original character? Yes it is. But which one is truly the original? If we look there are two character on each side. Both look pretty similar in color but not body construction. Which one is the original? This is common as well in the fanfiction genre. Another type is the “Close Contender.” These are characters that are almost identical to the original they are portrayed under, but still carry their own characteristics. They are still made to stay within the lore and not meant to steal work. Some might be drawn by hand with new features from the original as can be seen here. But, a common way among beginners is to recolor the original character and then add features instead. This is still fine, it’s just an easier way to make an original character. But, that can also lead to dodging which is just wrong and dirty. And illegal! You have no idea how much pain these cause me. BECAUSE IT’S LAZY! Copyright Dodgers are just… so freaking lazy. These kinds of characters are not made for the lore and made to actually slide past the copyright because as you can see. 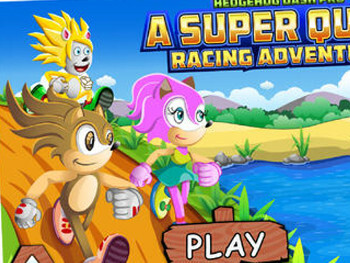 They’re not Sonic. I’m not a fan of Sonic but seriously people, learn to be creative. Not lazy. Heh, I thought I’d put this. These are kinda original but they’re made just as a joke to the lore. Some are funny, like Sanik. Lone characters are characters not made for a lore or based off of anyone else really. These are character of your own creation as in everything about this character came from you and not fanfiction. 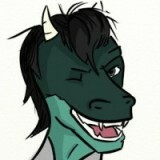 These are common on places like DeviantArt. 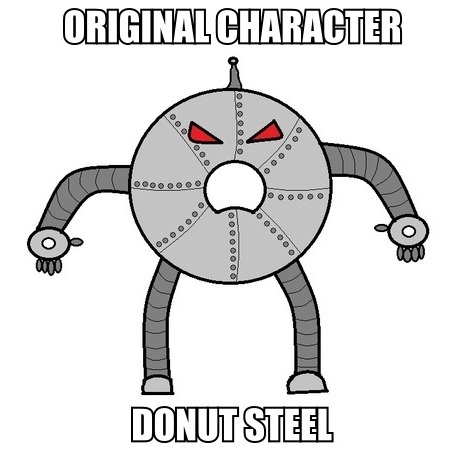 One of the most common phrases on DeviantArt is “Original Character, Do Not Steal” A while ago, a meme came out about the original character “Donut Steel” He has nothing to do with what I’m going to say, but there is a rule about Original Characters. Ahem… DO NOT STEAL OTHER PEOPLE’S WORK! BE CREATIVE DAMN IT! Seriously, people put time into their work. Under no circumstance should you take a picture of a character that someone else made and say “yeah this is mine, I made everything about them.” You didn’t and you’re just lazy. In short, don’t take pictures and claim they’re yours if you didn’t make it. Use but don’t steal. In closing, OC’s are great. Great way to express yourself, learn about creativity, or spend time making someone you and everyone else will love. Just follow the simple rule of “Do Not Steal” and make something great! Keep Calm And Keep Ongoing!